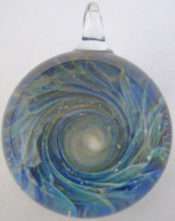 Red Manx Studio specializes in blown glass cremation art. 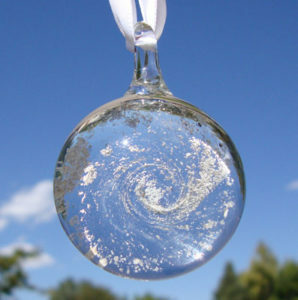 Jewelry and Sun Catchers are created with the use of a torch, allowing intricate designs. 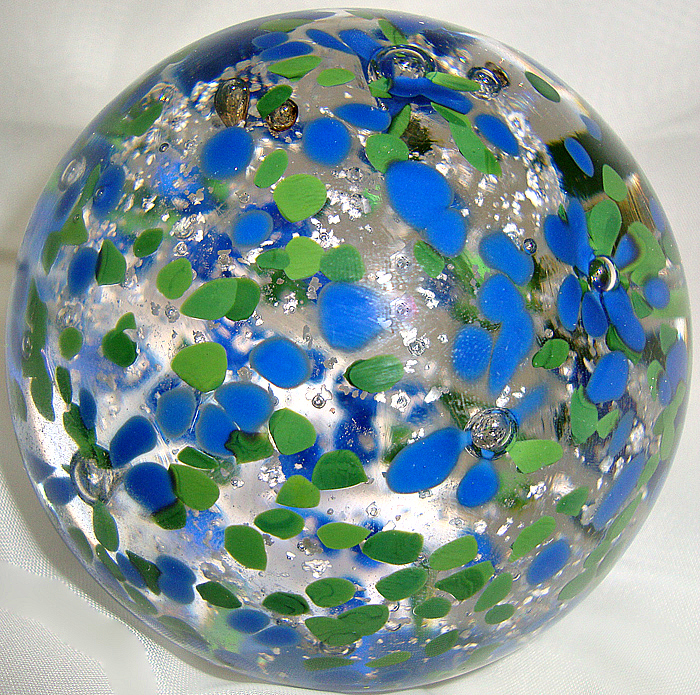 Larger Paperweights and Sculptures begin with glass that is molten. As layers of clear glass and colors are formed, the ashes of your loved one can be incorporated, becoming part of the design! To make your cremation art more meaningful, customization is available to incorporate specific colors or to include images such as a name, fingerprint, or tattoo. I am Tiffany Koehn and I am passionate about healing art! 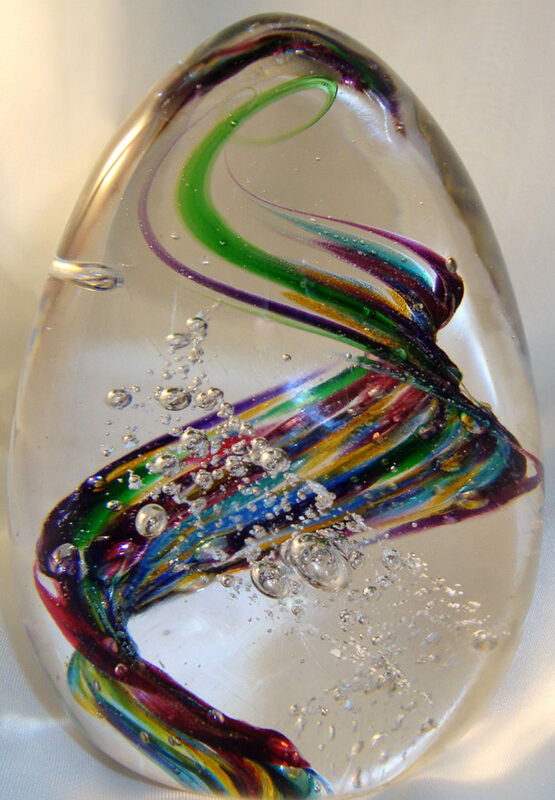 As a professional artist in Greeley, Colorado, I have been specializing in blown glass and metal art since 2002. 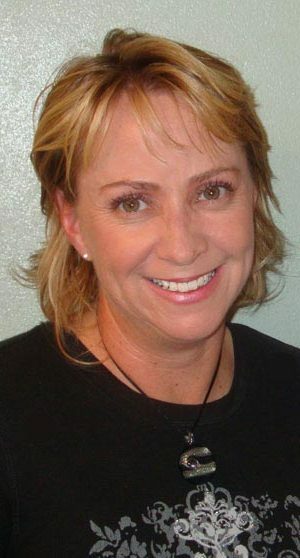 In 2008 my Mom was diagnosed with breast cancer. 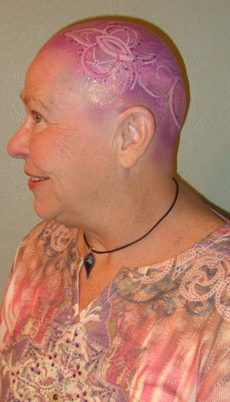 She thrived through 15 months of treatments as I painted delightful scenes on her bald head. It was through this beautiful journey together that we discovered the healing power of art. You can read more about our story at BeautifullyBald.com. With a new focus in life to help others in their healing journey, I launched my Ash Art line in 2009. My goal is to create a fabulous piece of art for you to cherish forever. Knowing personal information about the deceased helps me with my creative process so please share a few details and I will be sure to incorporate that energy into your art piece. Read about this great project on Facebook!